Yes, you heard that right. 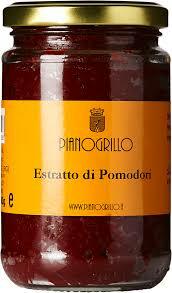 Here at Gustiamo we have the best tomato paste ever, that’s Pianogrillo Estratto di Pomodori. It’s true! Pianogrillo tomato paste is a secret ingredient for many of our favorite chefs.